Stephen Hawking, one of the most influential physicists of the twentieth century and perhaps the most celebrated icon of contemporary science, has died at the age of 76. The University of Cambridge confirmed that the physicist died in the early hours of March 14 at his home in Cambridge, England. 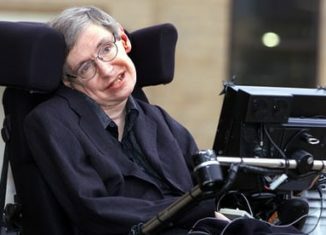 Since his early twenties, Hawking lived with amyotrophic lateral sclerosis (ALS), a disease in which motor neurons die, leaving the brain incapable of controlling muscles. Hawking’s health had reportedly been deteriorating; just over a year ago, he was hospitalized during a trip to Rome. Although physicians initially gave him just a few years to live, his disease advanced more slowly than expected. He went on to have an active career for decades, both as a theoretical physicist and as a popularizer of science. Still, Hawking progressively lost use of most of his muscles, and for the last three decades of his life, he was communicating almost exclusively through a voice synthesizer. Beating all odds, he went on to become one of the best scientists we will know of in our lifetimes. Scientifically, his name is most closely associated with the physics of black holes, which he began to study when they were still considered mere mathematical curiosities in Albert Einstein’s general theory of relativity. In the early 1970s, he began to investigate what quantum physics could reveal about the event horizon, a black hole’s surface of no return. Hawking shocked the physics world when he calculated that this surface should slowly emit radiation (soon to become known as Hawking radiation). Black holes were not truly black. This emission, he reasoned, should ultimately lead the black hole to shrink and disappear. Even more shocking to researchers was Hawking’s realization in 1976 that Hawking radiation should erase information from the Universe, an apparent contradiction to some of the basic tenets of the quantum theory. Perhaps it is because most of his work was of speculative nature and difficult to test experimentally that Hawking was never awarded a Nobel Prize. In 2016, some wondered whether he finally might win one, when Jeff Steinhauer, a physicist at the Technion–Israel Institute of Technology in Haifa, announced that he had found convincing evidence of Hawking radiation– not in an actual black hole, but in a laboratory analogue made of extremely cold atoms. However, some experts still consider those results inconclusive, and many say that their relevance to true black holes is uncertain.